Your Personal Information in Workday includes your date of birth, gender, ethnicity, and military status. You can revise this information using the procedures in the resources below; note that certain changes to your personal information require verification. If you want to change your Legal Name for UW employment purposes, you must first change your name on your Social Security Card. Once you’ve received your new Social Security Card, you can make the change in Workday. Your Preferred Name is what appears in the UW Directory and other sources of campus contact information. Most UW software and services use the Identity.UW website to determine how to display your name. Once you set your Preferred Name via Identity.UW, it should appear that way in other places. Some UW services are required to use your Legal Name. Setting a Preferred Name will not update your Legal Name. In Workday, you have the option to set your gender as Male or Female. A gender selection is required for the purposes of covered health services. Failure to provide this information may result in denial of services. A Date of Birth change requires the employee to provide proof of the change and ISC approval. Acceptable documentation is either a copy of your state-issued driver license (or ID card) or both your birth certificate and a current photo ID. Employees are not able to update their own Citizenship Status in Workday. If your citizenship status has changed, please contact your department or unit’s I-9 Coordinator to make the update. Please note that you may have to provide documentation proving the change in Citizenship Status. If you recently changed your United States citizen or immigration status, such as becoming a Permanent Resident (green card holder), you will need to complete a new Form I-9 in Workday. Then, take the documentation (original and unexpired) of your changed status to your department or unit’s I-9 Coordinator. They will complete the Form I-9 in Workday to re-verify your employment eligibility. You can manage your Emergency Contacts in Workday. Follow these step-by-step instructions on how to edit your Emergency Contacts. When you get a promotion, have a change in compensation, or move offices, your department will make the updates in Workday. You can view your Work Information, including job details, compensation, and work history, in Workday on the Profile screen. 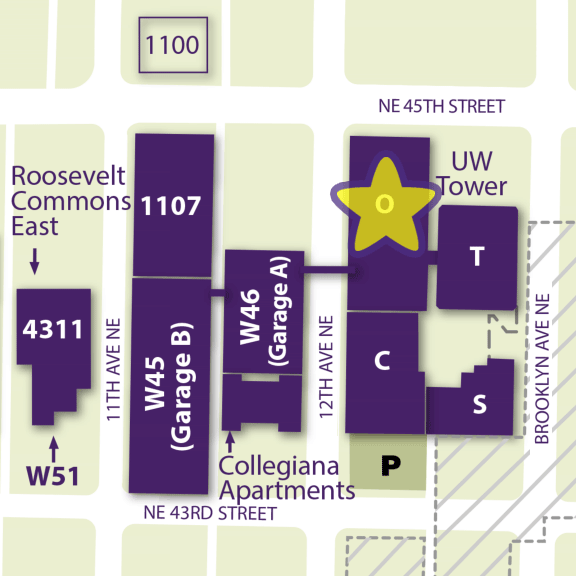 If you have elected to be published in the UW Directory, all Work phone numbers, your email addresses, and (optionally) physical addresses will be marked Public. Only Work contact information marked Public is available in the UW Directory. Go to Identity.UW. This will show your personal and employee information displayed in the UW Directory. Search for yourself in the UW Directory. If you prefer to have your Departmental Address listed in the UW Directory instead of your primary UW email address, enter the departmental email address as an Additional Work Email Address in Workday. The UW Directory includes your Business Title and Supervisory Organization name. Departments may change the name of Supervisory Organizations. Changes made in Workday are reflected in the UW Directory later in the day or the following day.